Blond brick and light-colored stone seem to pose challenges when it comes to picking coordinating paint colors for siding and trim. This house does it right. The taupe siding color comes right out of the aging blond brick, giving the house an updated look. Taupe allows the brick to show off its depth of color, including other shades of browns and peaches, without adding another hue to the mix. You cannot go wrong with neutrals, especially when you’re dealing with stone and brick. White trim offers a crisp contrast between the siding and brick and ties in the white windows, also original to the house. The homeowners took what used to be a tired ordinary blond brick and made it look fresh and contemporary. 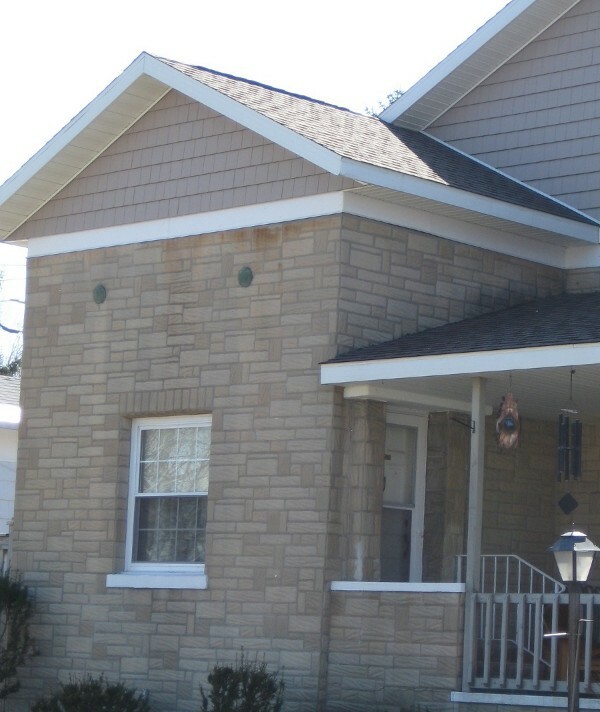 You are currently reading Blond Brick Siding Color and Trim at Your Home & Color Coach.